A couple of months back I was very excited, as I had picked up some ‘Speculoos’ on our last trip to London. Didn’t see it? 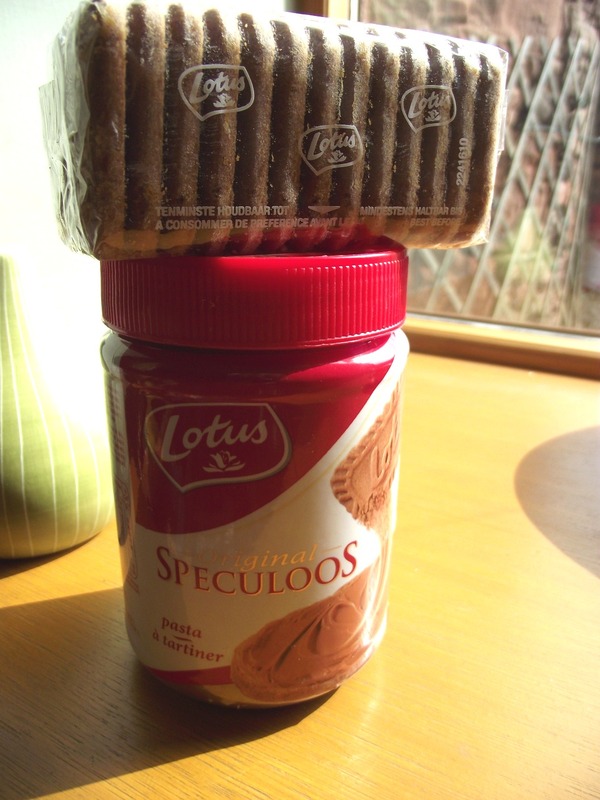 What is Speculoos? Well, Speculoos seems to go by a few different names depending where you are in the world. 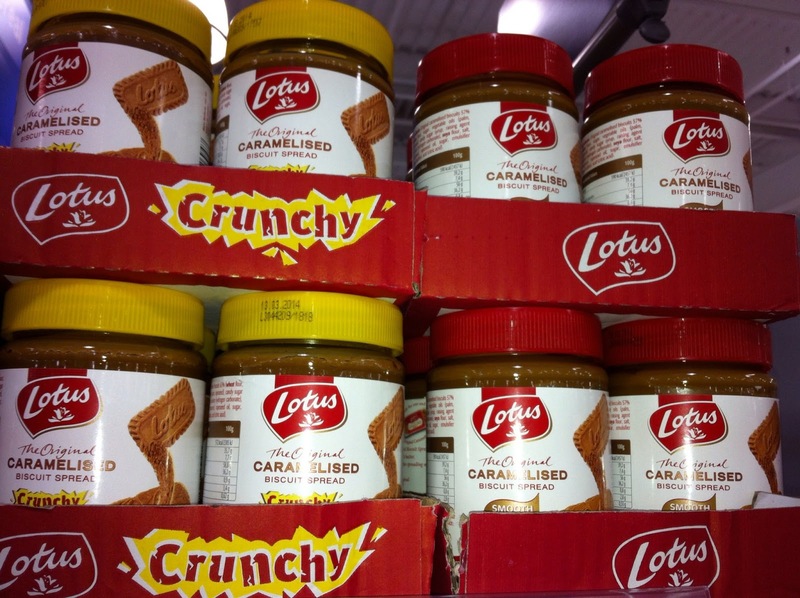 Biscoff spread, Lotus Spread and Cookie Butter are other names it goes by. 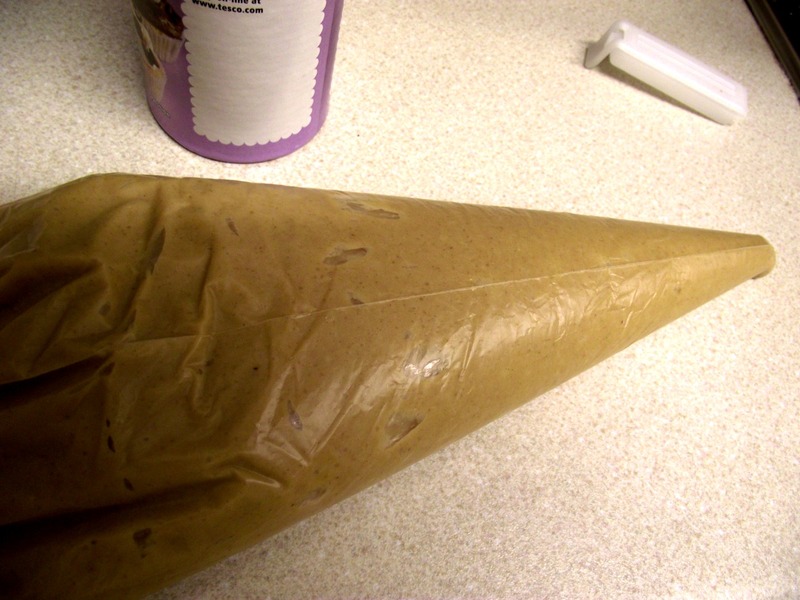 But basically it is a paste, similar in texture to peanut butter, which is made from those yummy Lotus biscuits, you know, that taste all cinnamony and delicious! And I was even more excited when I discovered that Speculoos (Lotus, the original caramelised biscuit spread, in the UK) is now available in all Sainsbury’s stores. I bought some of the crunchy variety, as I love this on toast. But my very kind boss handed me a jar recently of it (from Europe) and it actually has Speculoos on the label! Anyway, I decided to celebrate it being available near me, by making another Speculoos recipe. I found a recipe online for doughnuts using this spread and set about making them, but with a chocolate glaze and crushed Lotus biscuits on top. 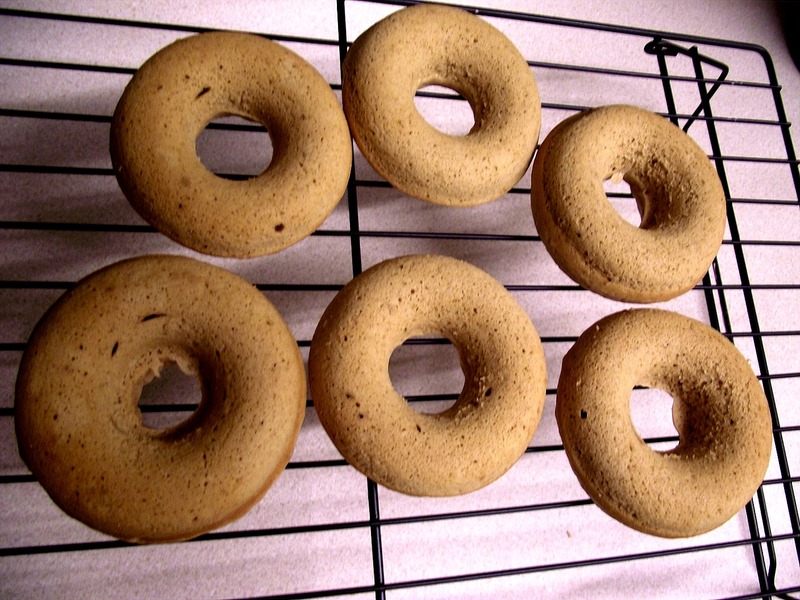 If you don’t have a doughnut pan, just bake these into cupcakes and they will be just as yum. Preheat your oven to 160oC. Spray a doughnut pan with cooking spray or lightly grease. If making into cupcakes, place liners in a 12 cup tray. In a bowl sift the flour, salt, cinnamon, nutmeg and baking powder together. 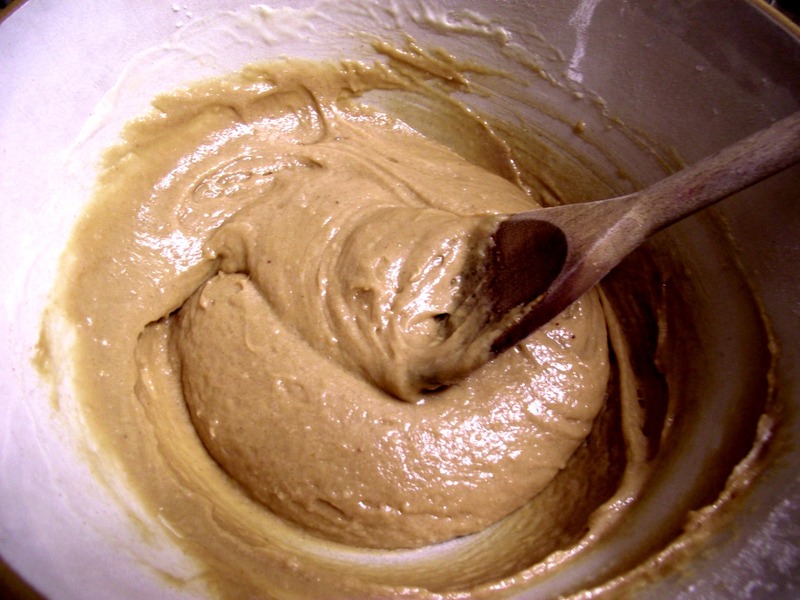 In another bowl, whisk together the sugar, buttermilk, egg, vanilla, Speculoos and melted butter until smooth. Add the flour mix and stir to combine. Place the batter into a food bag, snip off the corner, or piping bag and pipe into the doughnut wells, about 2/3 full. I got 10 doughnuts from the batter, so had to do this in two stages. Divide the batter equally between the cupcake liners, if making those. Place into the oven for 8-10 minutes for the doughnuts, or 10-12 minutes for cupcakes. A toothpick should come out clear from the centre. Allow to cool. To make the glaze, in a saucepan, melt the butter with the milk, syrup and vanilla. Remove from the heat and add the choc chips, stirring until melted. Lastly sift in the icing sugar and stir to incorporate. Use a knife to spread on the thick glaze. 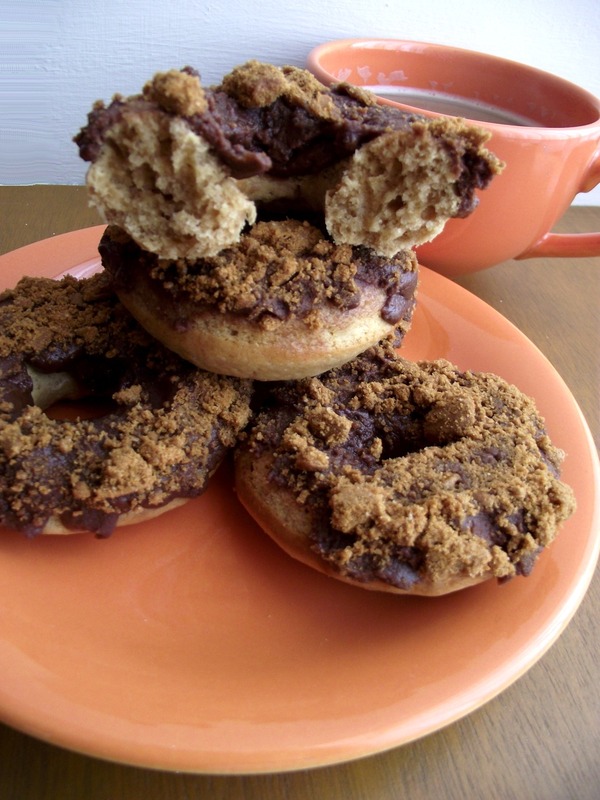 I then dunked each doughnut into the crushed biscuits. Allow the glaze to dry and then enjoy your doughnuts. 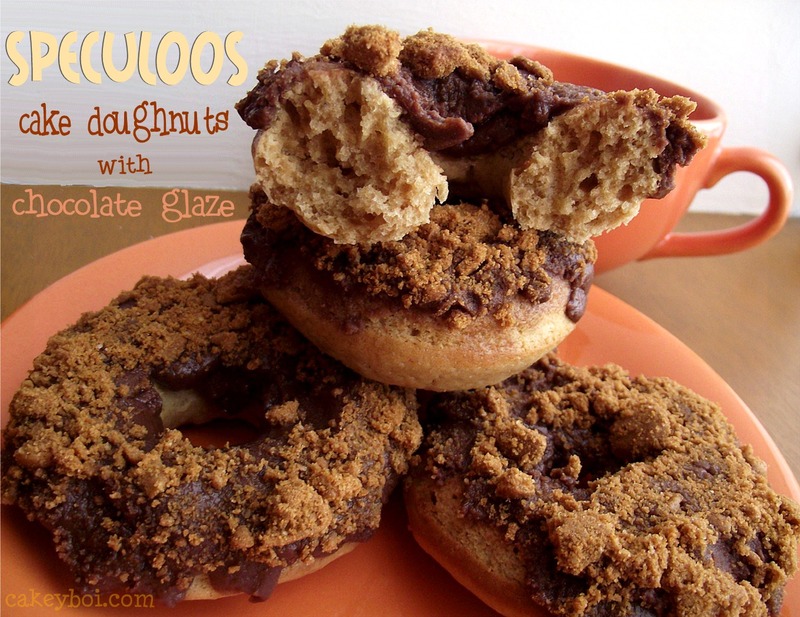 The doughnuts are light and cakey in texture with the subtle taste of the Speculoos spread. The chocolate glaze turns a nice chewy texture when set up thanks to the syrup and the crunch on top of this just finishes things off nicely, especially with a cup of coffee. Enjoy. Check out my Speculoos frosting and Speculoos blondies. Thanks Becca, so good we can get the stuff on our doorstep now!! Oh they look wonderful Stuart. I could go one of those right now. I've often wondered about getting one of those trays.